Purpose - what are we doing? Our Lake Sammamish Urban Wildlife Refuge Partnership will provide opportunities for residents and visitors to connect with nature. The intent is to build support for the conservation of fish and wildlife and contribute to the quality of life in the basin for present and future generations. The Lake Sammamish Basin, part of the larger Lake Washington-Cedar River Watershed, is the last stronghold for kokanee salmon in central Puget Sound. 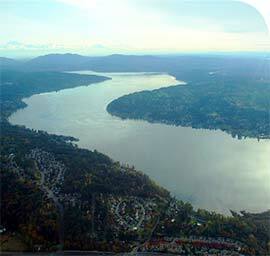 The Lake Sammamish Partnership is one of eight national programs designated by the U.S. Fish & Wildlife Service to engage key community partners who have been active in wildlife conservation and can help expand the local and national conservation constituency. 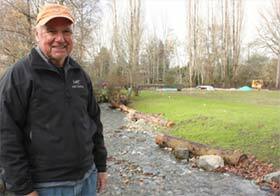 The Lake Sammamish Kokanee Work Group (KWG) is an existing partnership of local governments, concerned residents, state and federal agencies, tribes, non-governmental organizations, and community groups who are working together to recover native kokanee salmon in the Lake Sammamish basin. The KWG catalyzes and supports public and private actions that contribute to kokanee recovery through habitat protection and restoration, hatchery production, and public education and involvement. The Partnership builds on this effort to engage area residents, businesses, and visitors in the broader conservation of watershed ecosystems and native species while supporting the KWG’s goals for kokanee recovery.